Please say hello to Gladys, my lovely new friend. Isn’t she great? I came across her while when I was out looking for shoes for they wedding we’re going to this weekend out in NYC. She was so sweet I just had to take her home with me. Especially since I didn’t have a purse to that worked with my outfit and she matched perfectly! I know that this was another investment that I will cherish. I’ve already been using her a ton. The shape and size of the purse are perfect. Just big enough to hold my daily haul, while not too big to be bulky or heavy. The adjustable/removable shoulder strap is key. I can take it off for the wedding, but have it to sling across me while huffing through the streets or running errands. 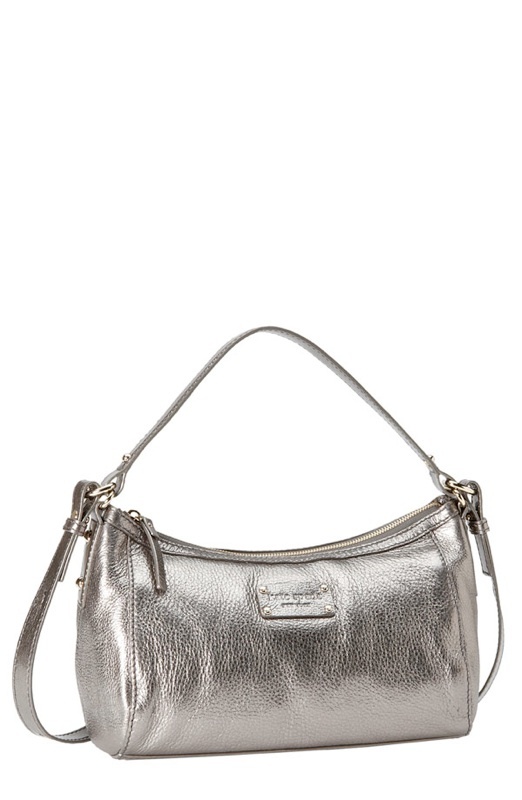 The textured leather has beautiful metallic finish that really is perfect for making the transition from day to night. I think that it looks just as good with jeans as it does with the dress I’ll be wearing. I think we’ll be friends for a long, long time.